I am honestly thrilled to bring you this week's edition of First Look Fridays, featuring celebrity manicurist Deborah Lippmann. Not only has she manicured everyone you can possibly imagine -- including CHER! -- but she's created an absolutely fabulous line of nail polish and treatment products that are all just unbelievable. I'm actually a huge fan of her polish color Believe, which Lippmann created for Cher -- it's the absolute perfect shade of shimmery light gold that just looks like liquid beauty on the nails. Read on to learn more about this fascinating gal! I grew up in Scottsdale, Arizona. I had a bug to perform from the time I saw The Music Man -- I was 4 years old. I grew up performing and then pursued a music degree from Arizona State University. I couldn't really live the quality of life I wanted as a professional actress/singer in Phoenix, so I went to school for my other love -- beauty -- and became a manicurist. After several years I moved to New York to pursue my singing career. I worked in a salon by day and performed in jazz clubs by night. I was a serious nail biter most of my life. At the dress rehearsal for my first serious paid performing gig after college, the director saw my bitten nails holding the microphone and made an appointment for me to have my nails done the next morning. I couldn't believe the difference in the way I held my hands. Now I know! The first manicurists that did my nails were my inspiration. Bill Eimers and Patti Miller. Serious attention to detail is the key to the perfect manicure. I also worked with an amazing salon owner who taught me that the manicure is intimate in a way that other beauty treatments aren't. 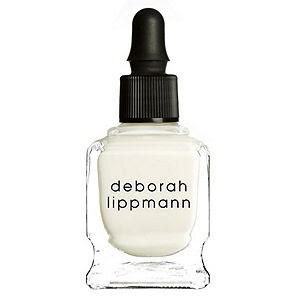 When did you create Lippmann Collection, and how did it go from an idea to reality? I created Lippmann Collection in 1999. It was a long process from the fantasy to the reality of putting Lippmann Collection on the shelves and it happened with the help, support, creativity and some pushing of my closest family and friends. 1) The moment I met Cher for the first time. 2) Signing with my first agent (who handles my manicuring career -- not my singing career!). 3) Getting a rave review for my CD VINYL in Vanity Fair! What are your favorite Lippmann Collection products and why? 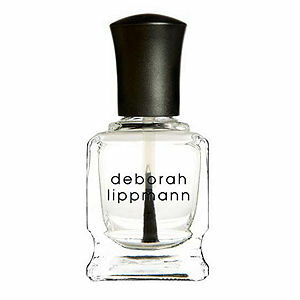 1) I am a stickler about cleaning the cuticle by pushing them back -- and so my Deborah Lippmann Cuticle Remover is just an absolute must-have for me, once a week. 2) I love my new Deborah Lippmann Addicted To Speed Top Coat. It has a super-glossy finish and dries lightning fast. 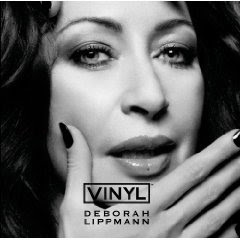 1) Deborah Lippmann The Stripper To Go. These little mitts fit right in my purse. I carry them in case of an emergency. 2) Firming Serum from my favorite guru Tracie Martyn. 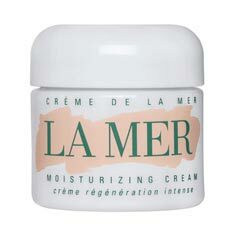 3) La Mer Creme de la Mer. Of course. 1) When applying color, thinner is better. 2) Never shake bottles, it will get air bubbles in your lacquer. Instead, roll between your hands. 3) Moisturize, moisturize, moisturize! You should moisturize with Rich Girl Hand and Cuticle Cream after every time you wash your hands. The people I meet and the places I go. Singing, that is my passion.